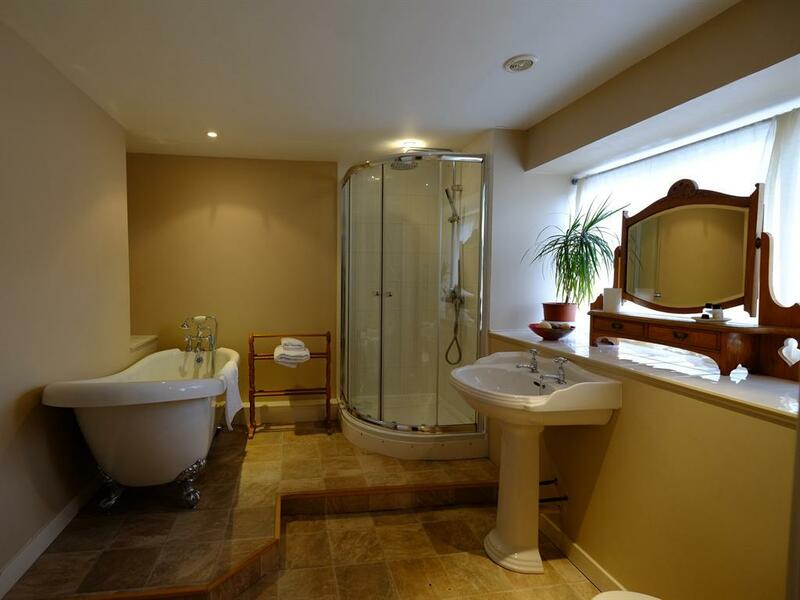 Bright and spacious king size rooms with stunning en-suites comprising monsoon showers (some also have luxurious roll top baths). 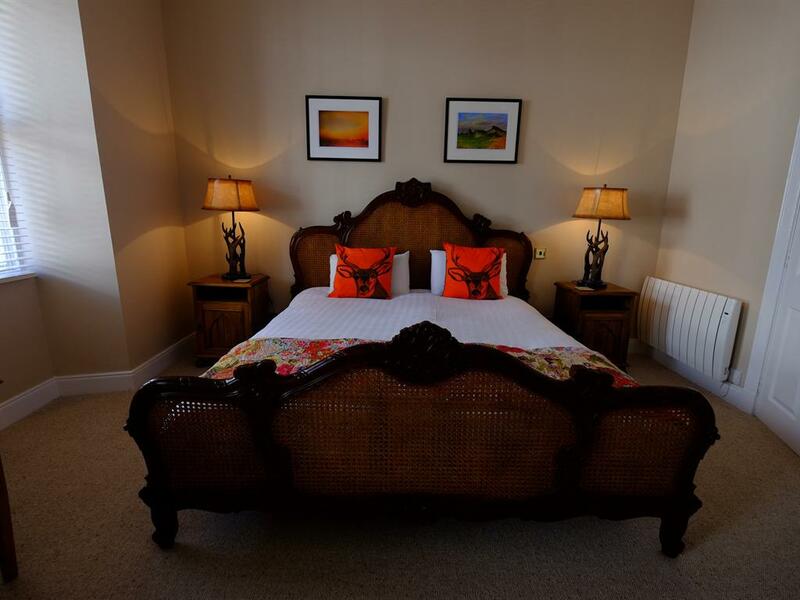 All rooms include luxury toiletries, a hospitality tray including Suki loose-leaf tea, TV, free WI-FI and many other features that will confirm that our attention to detail will complement your experience. 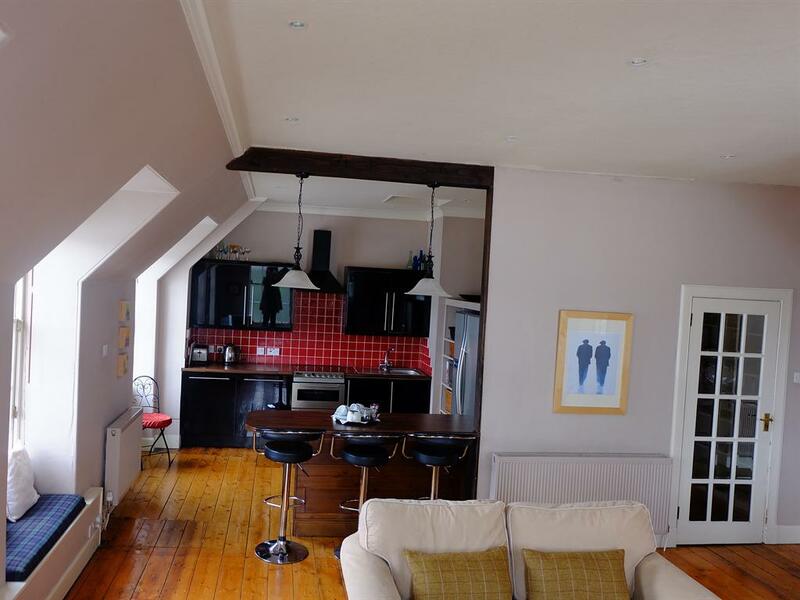 A full Scottish breakfast is also included. 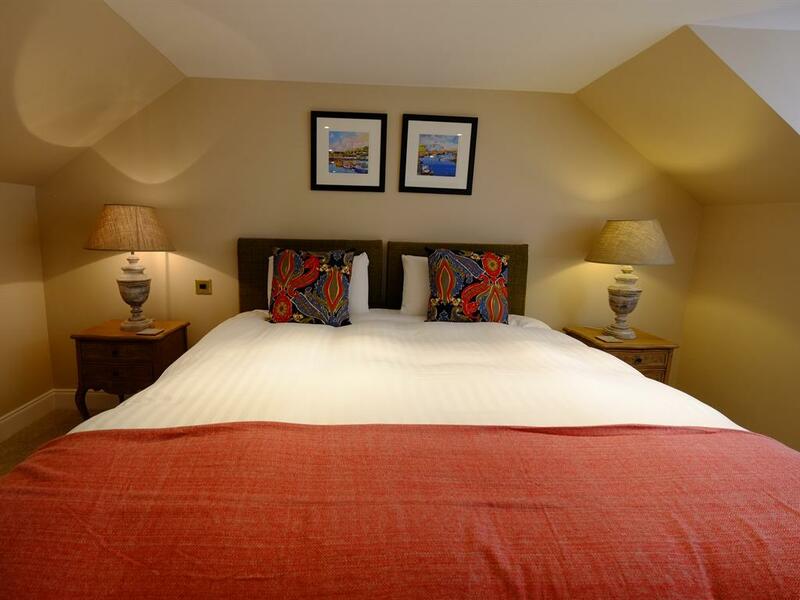 Our Standard King Rooms are situated on both the first and second floors of 'Brambles West' above Brambles Cafe & Bistro, and also on the first and second floors of 'Brambles East' which is located directly across the Main Street from Brambles Cafe & Bistro. 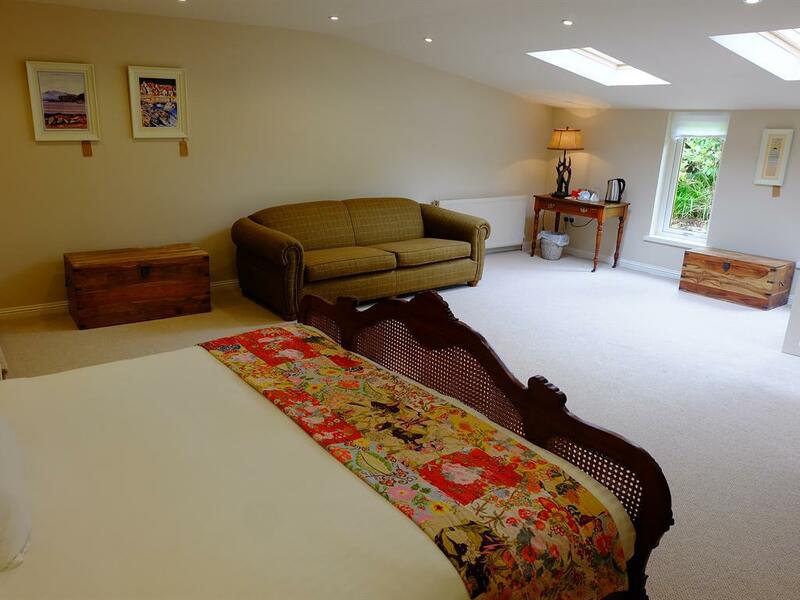 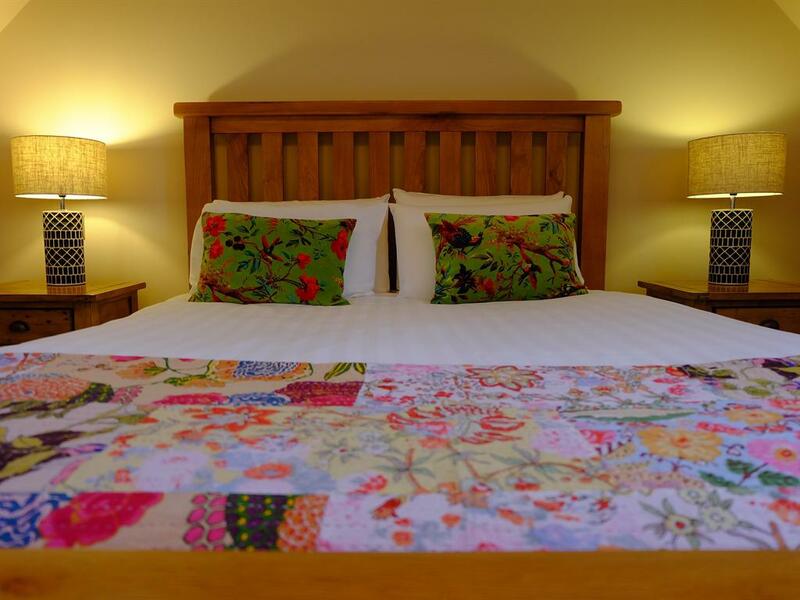 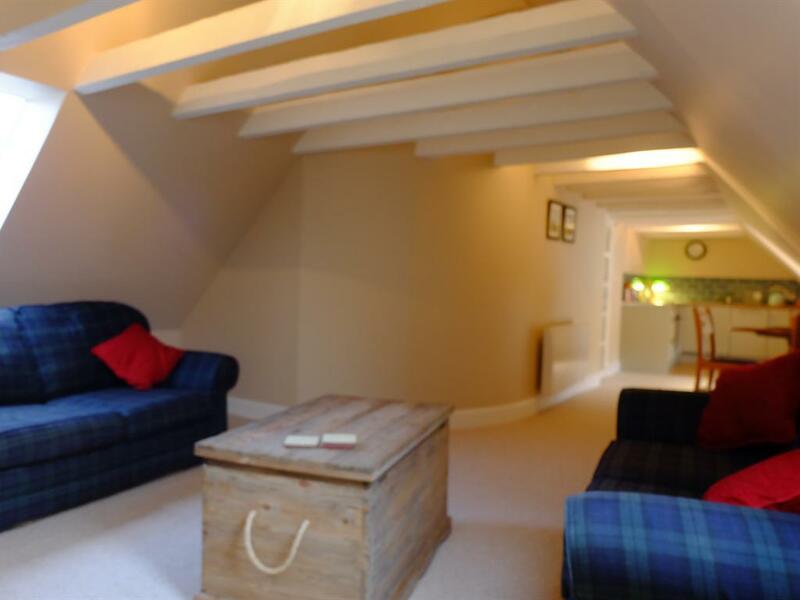 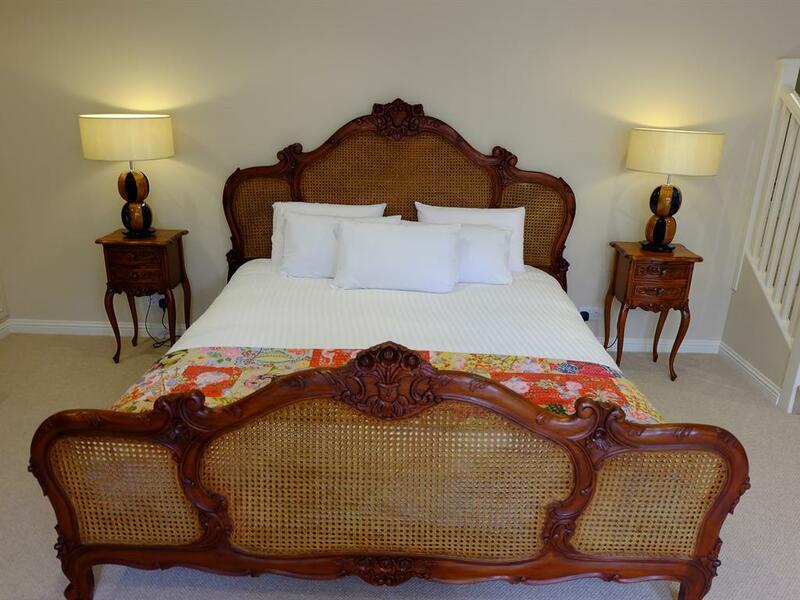 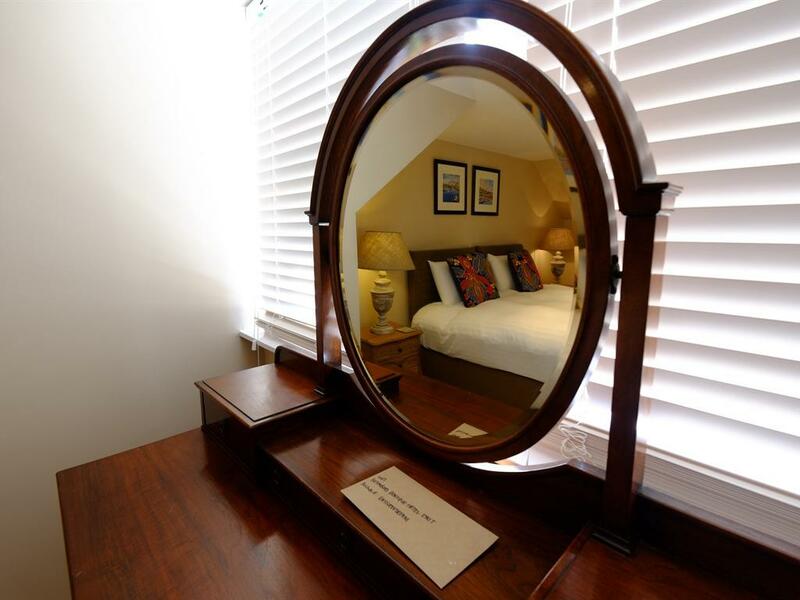 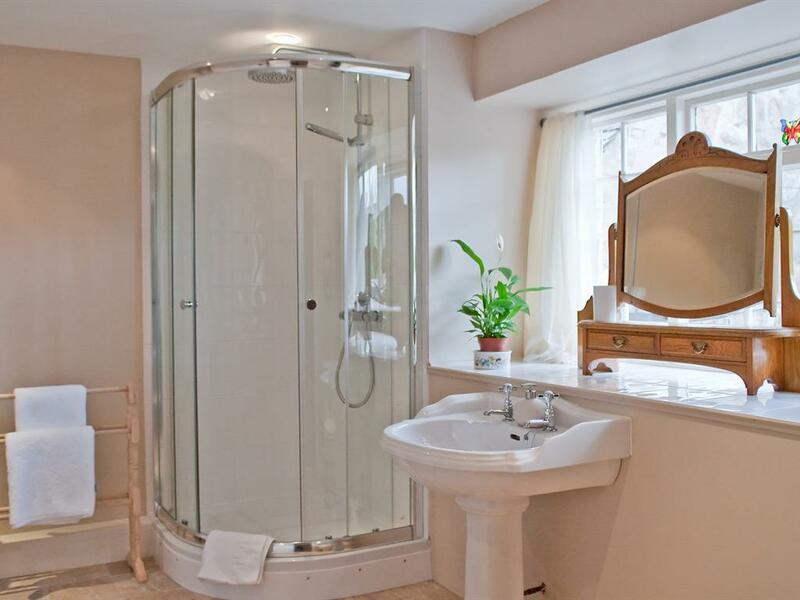 Beautifully finished, our Garden Suite is spacious and airy. 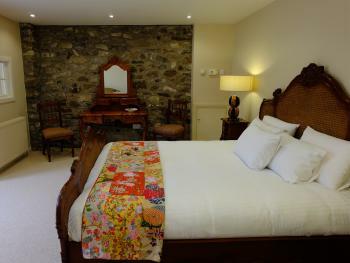 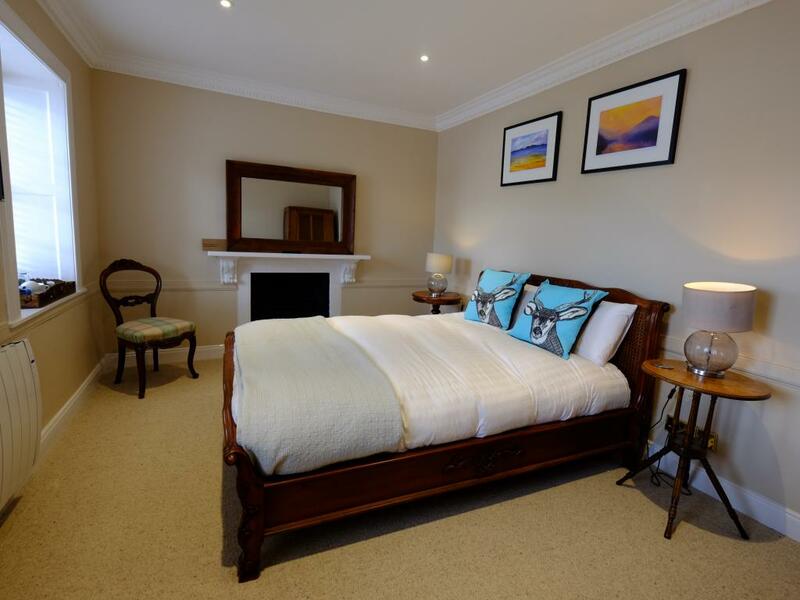 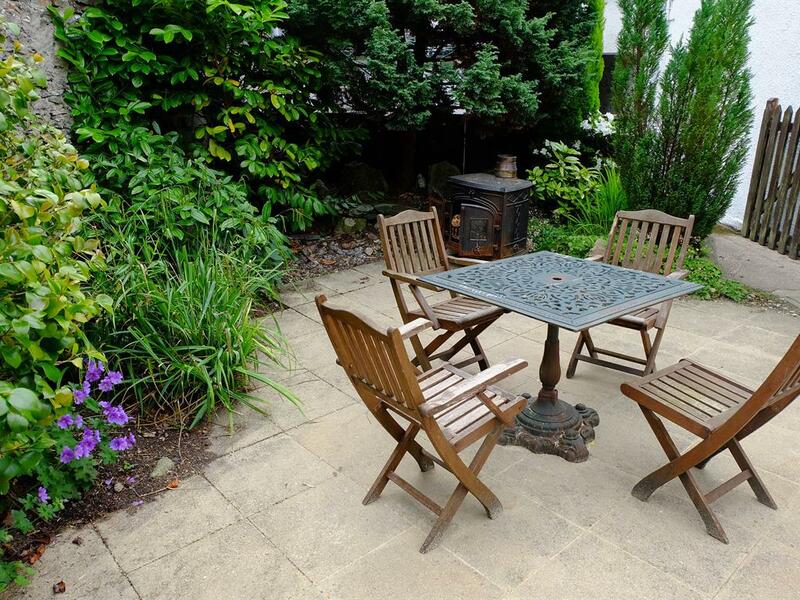 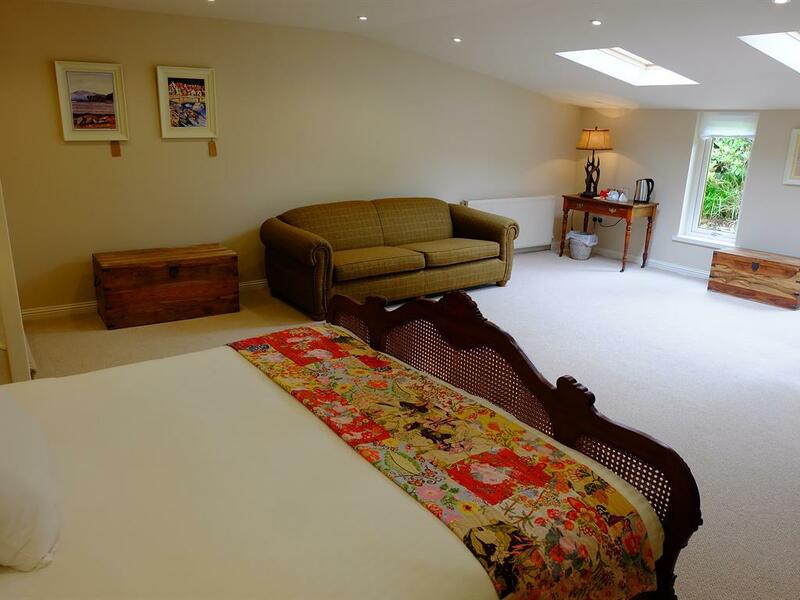 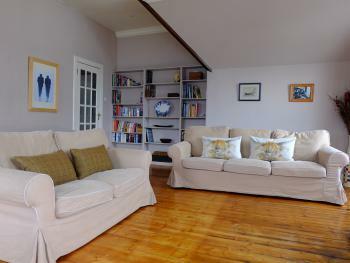 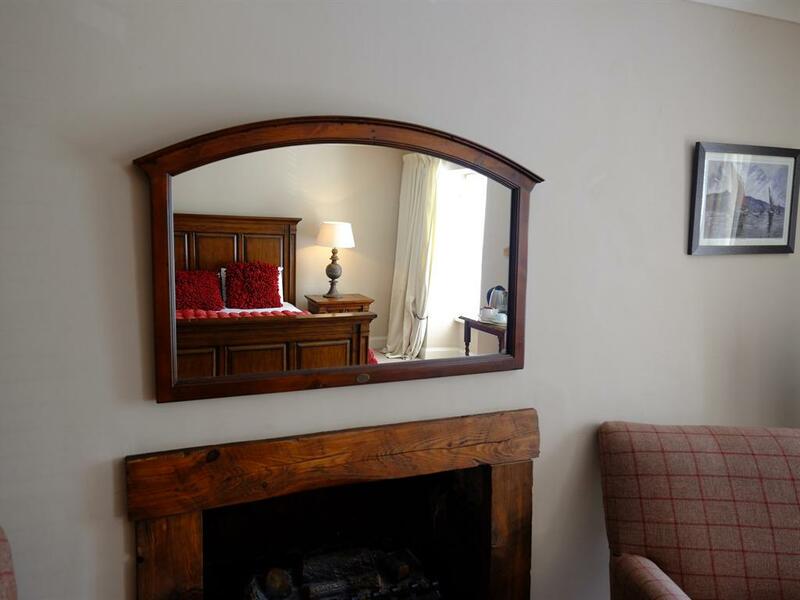 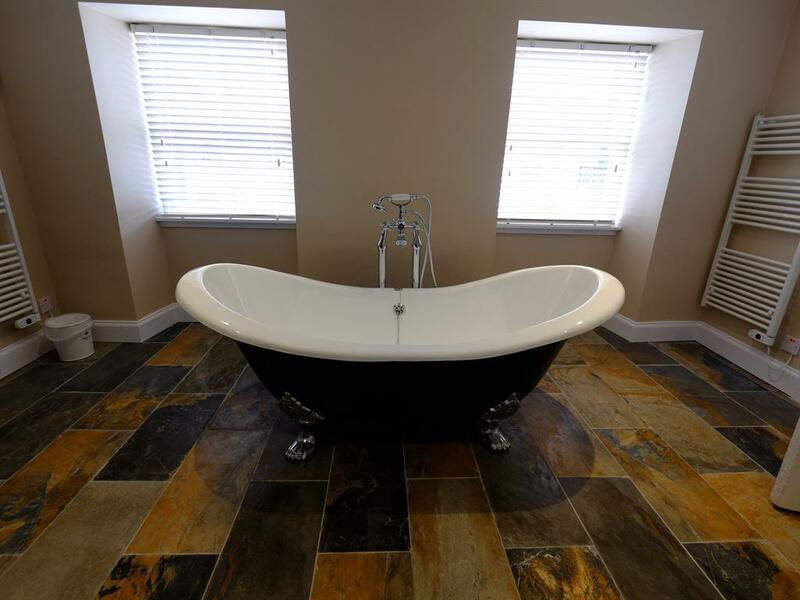 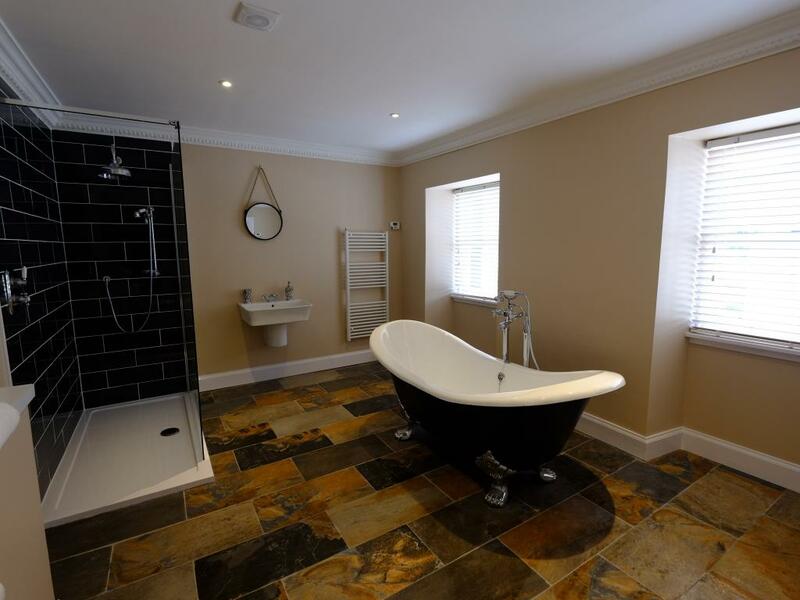 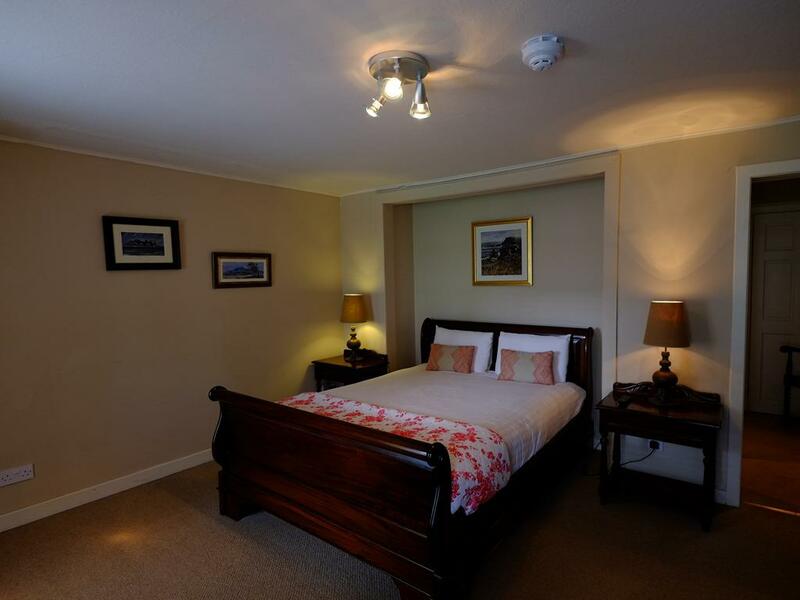 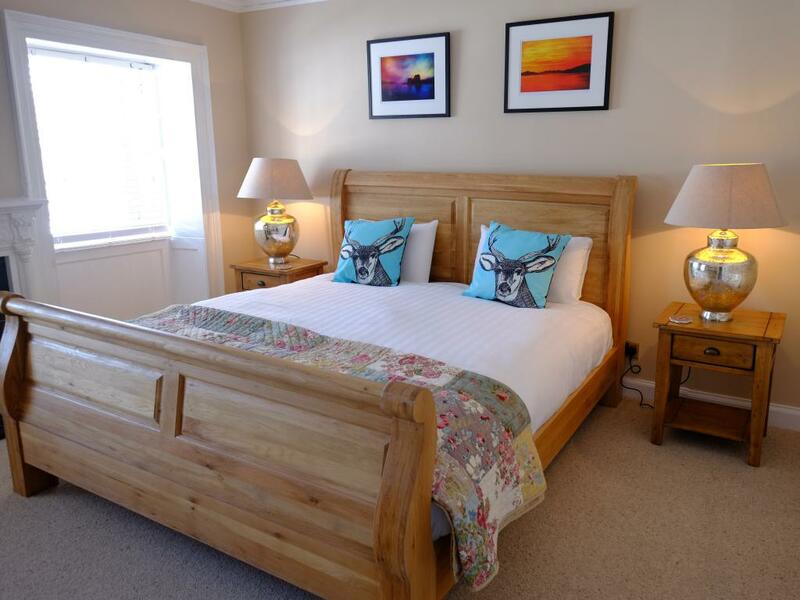 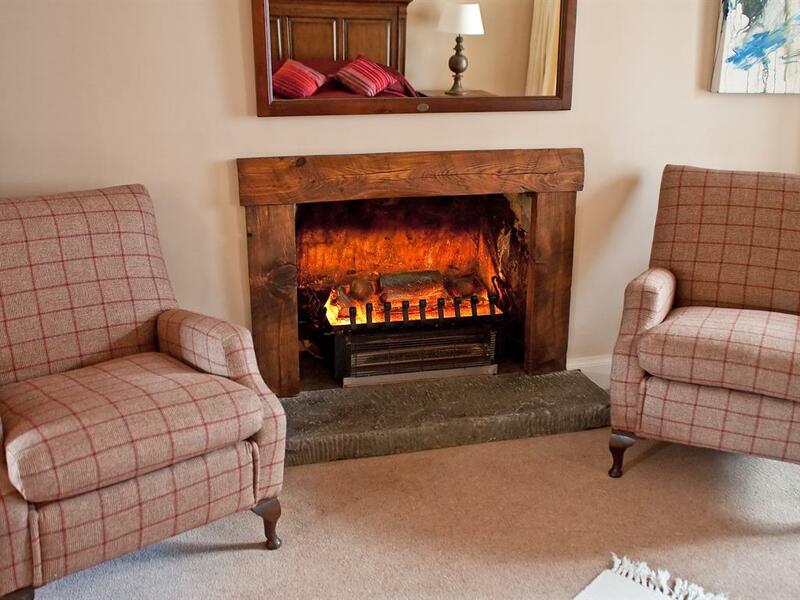 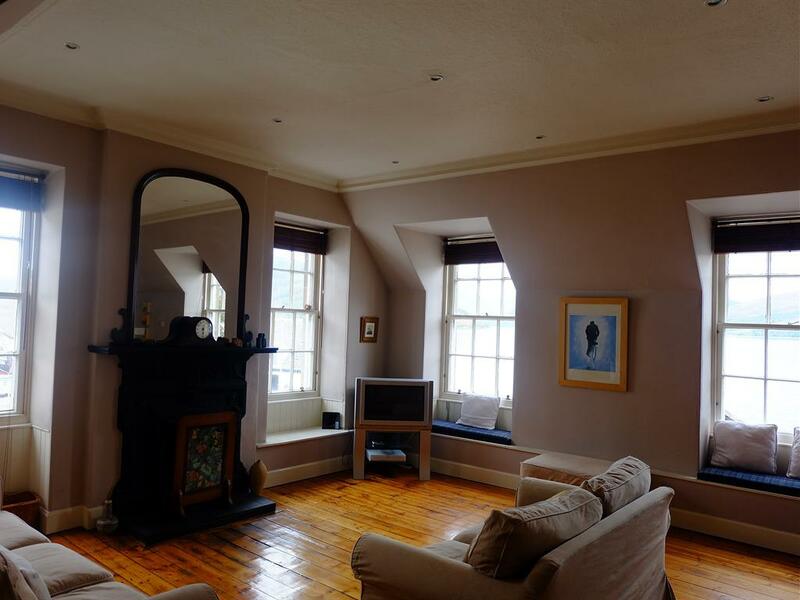 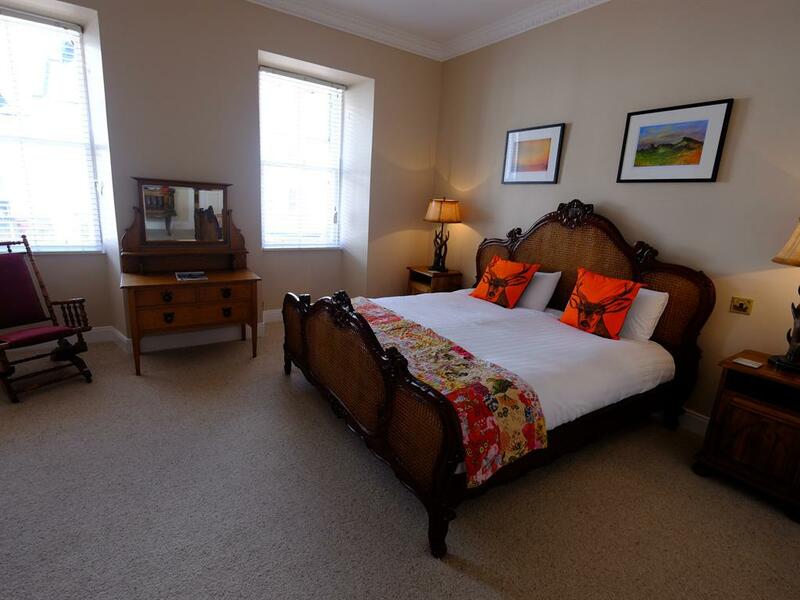 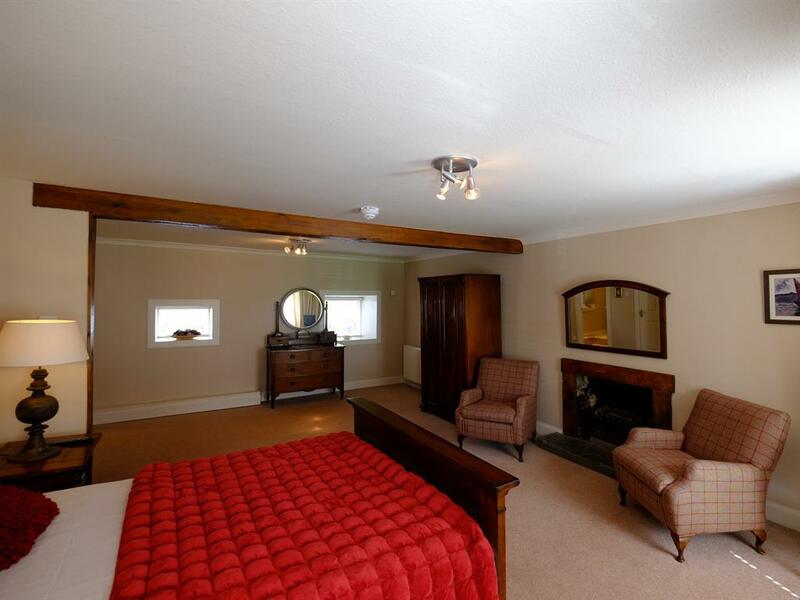 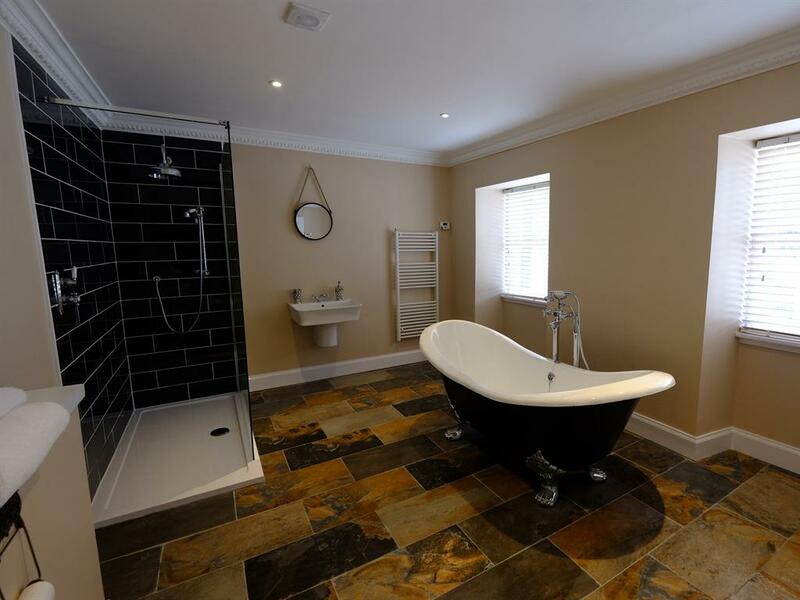 It comprises a main room with a super king bed, and seating area with a large tweed sofa, a seperate bedroom with twin beds, as well as a shower room and an outdoor seating area. 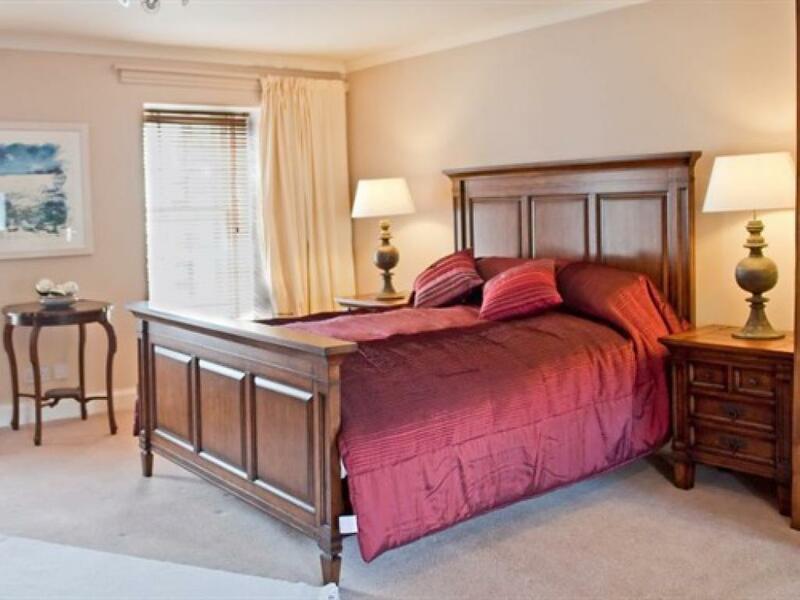 It sleeps 1-4 guests. 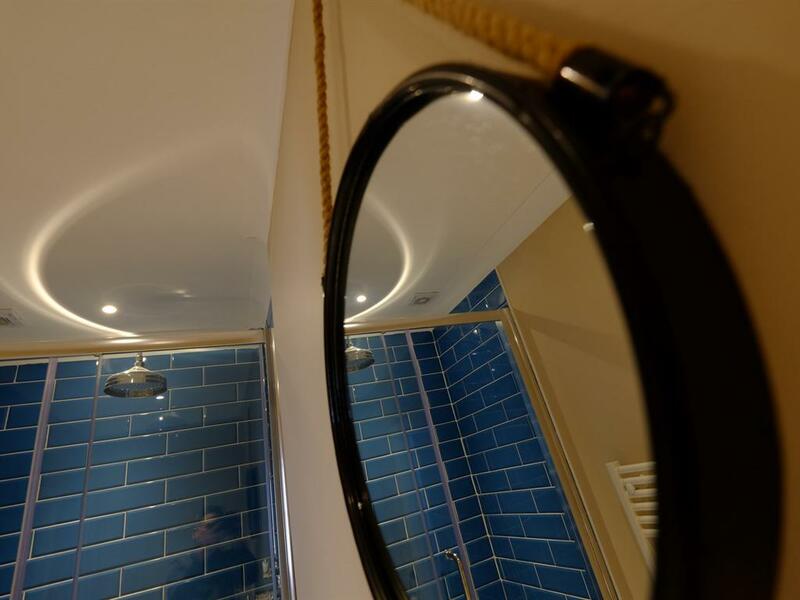 All rooms include luxury toiletries, a hospitality tray including Suki loose-leaf tea, TV, free WI-FI and many other features that will confirm that our attention to detail will complement your experience. 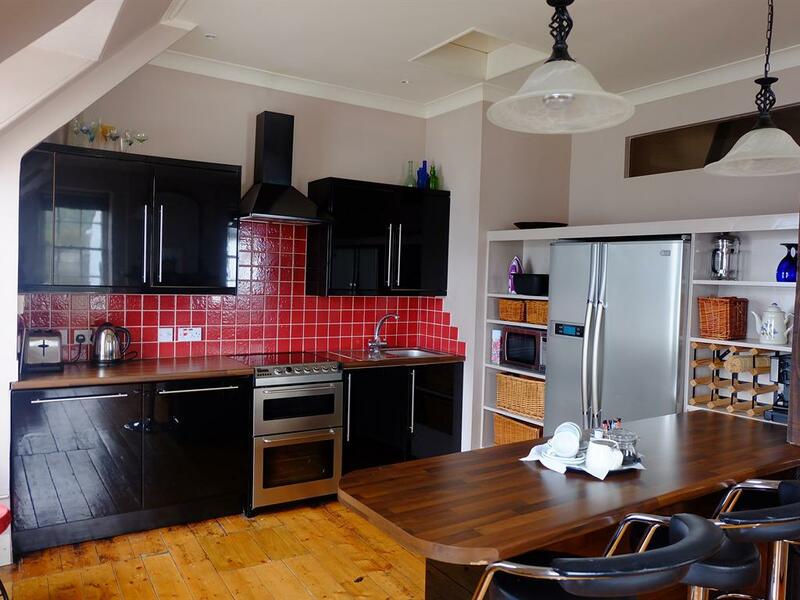 A full Scottish breakfast is also included. 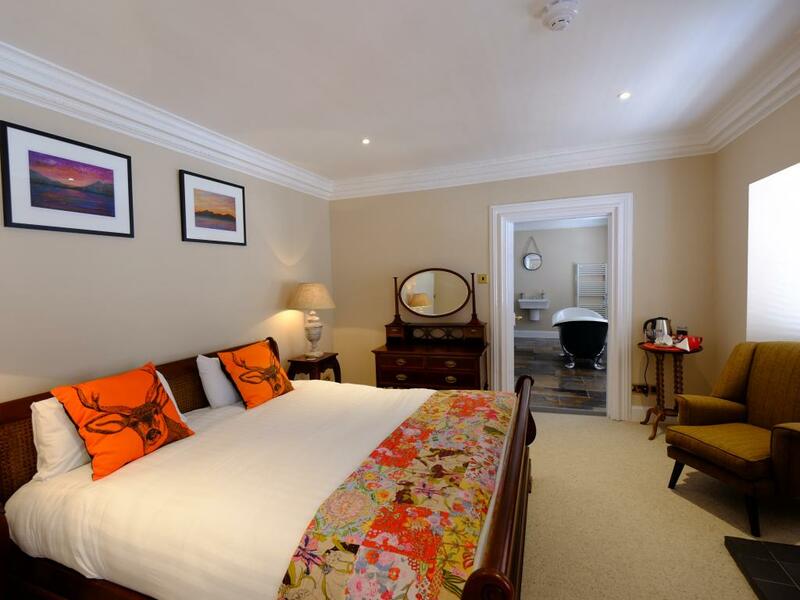 A hint of decadence - these bright and spacious rooms comprise of superking size beds, flat screen 40" LCD televisions, and modern en-suites with monsoon showers and luxurious roll top baths. 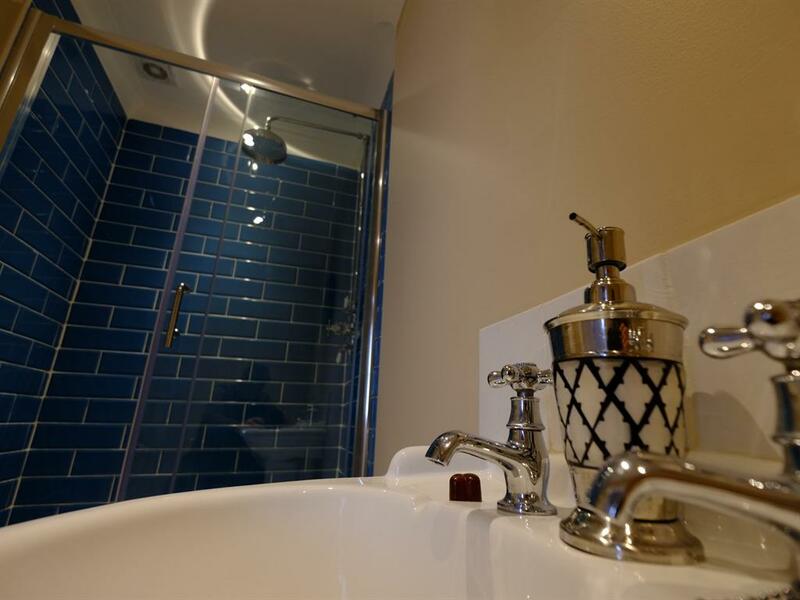 Guests will also find luxury toiletries, a hospitality tray including Suki loose-leaf tea, free WI-FI, and many other features that will confirm that our attention to detail will complement your experience. 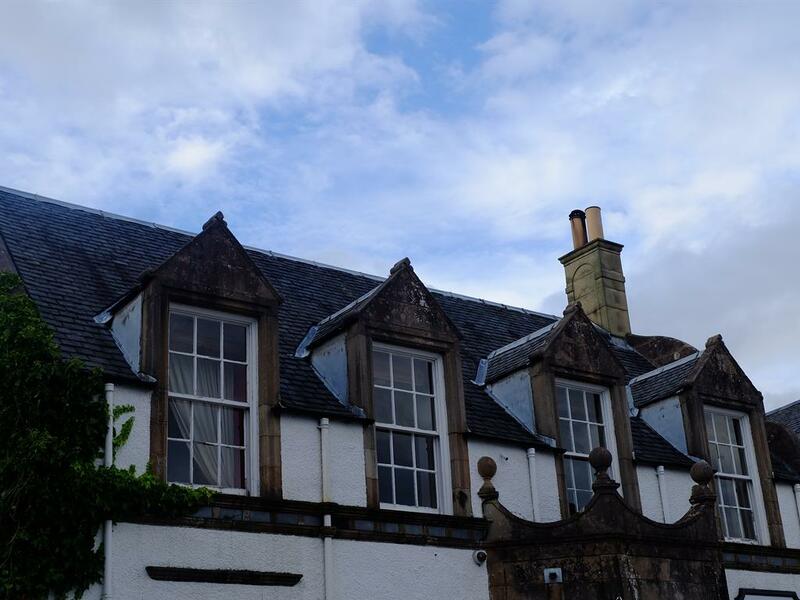 A full Scottish breakfast is also included. 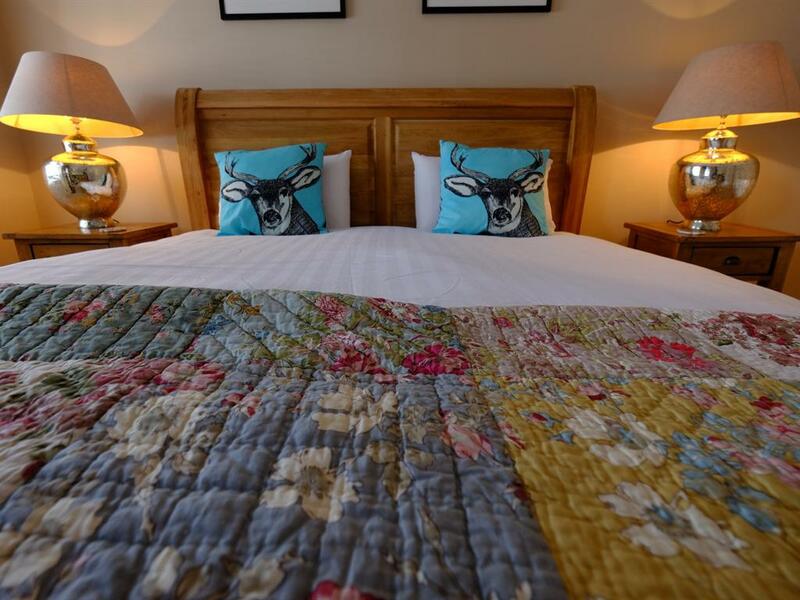 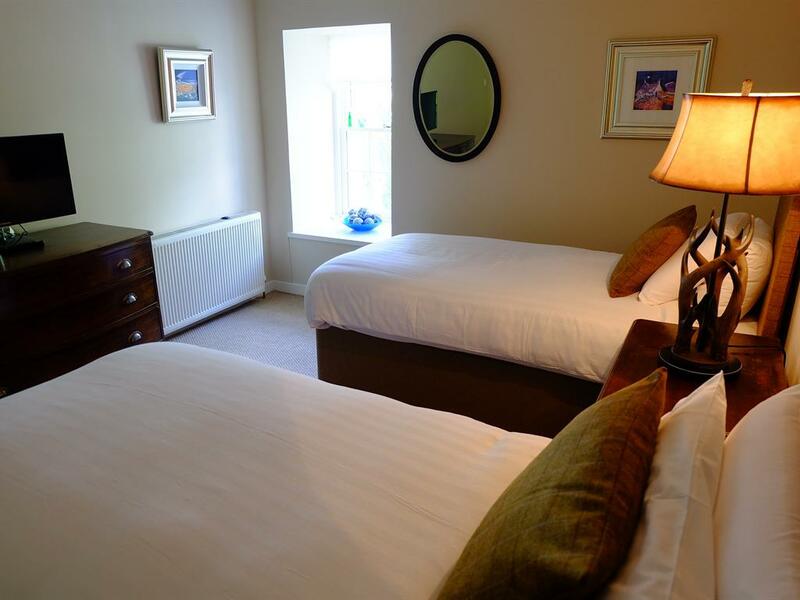 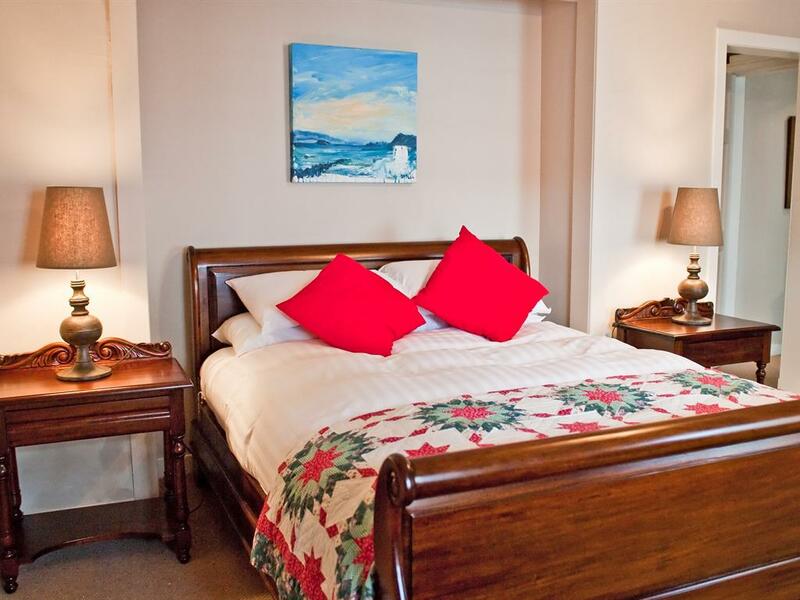 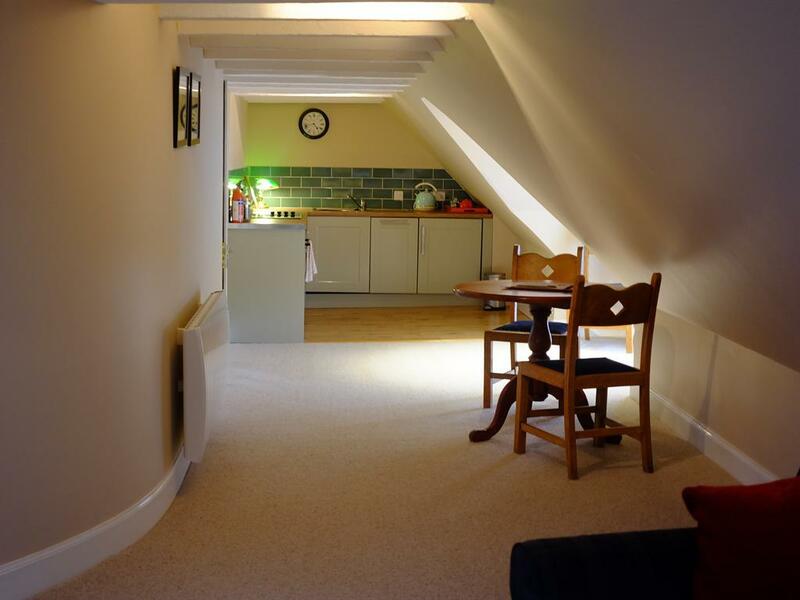 The Superior Rooms are situated on the first and second floors of 'Brambles East' which is located directly across the Main Street from Brambles Cafe & Bistro. 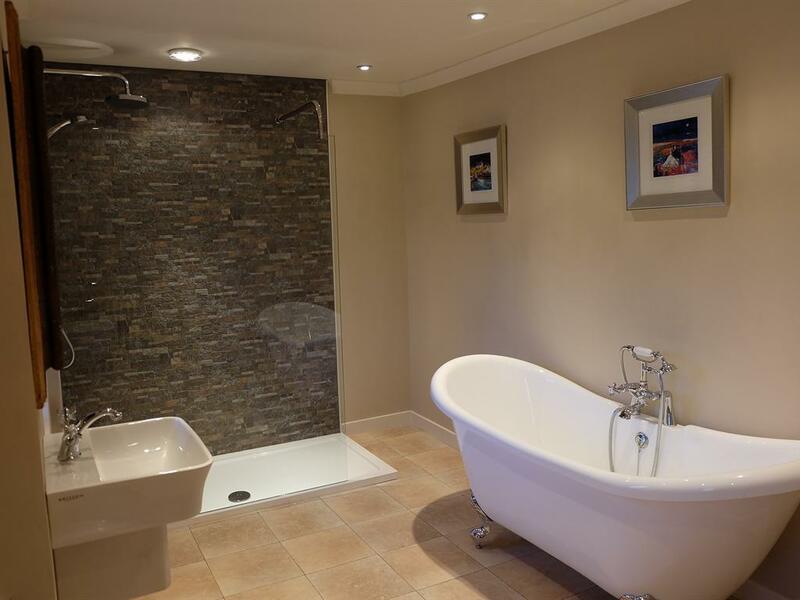 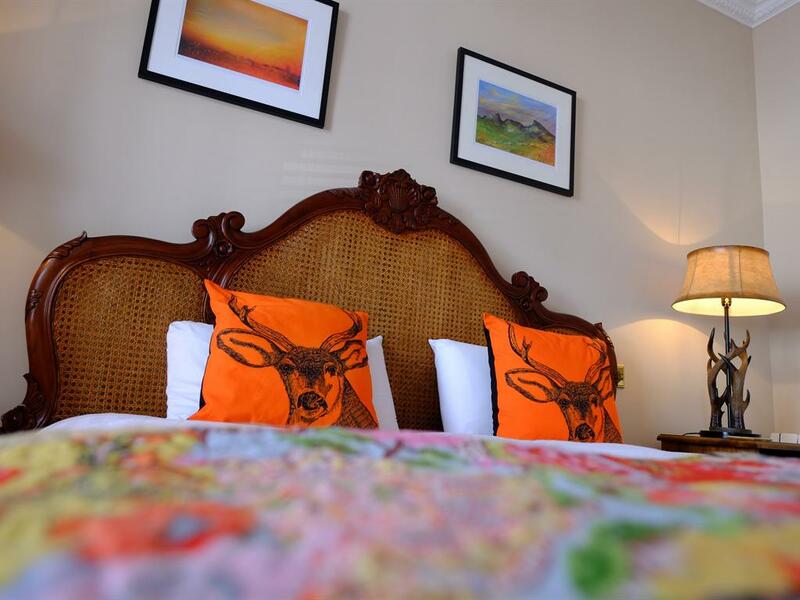 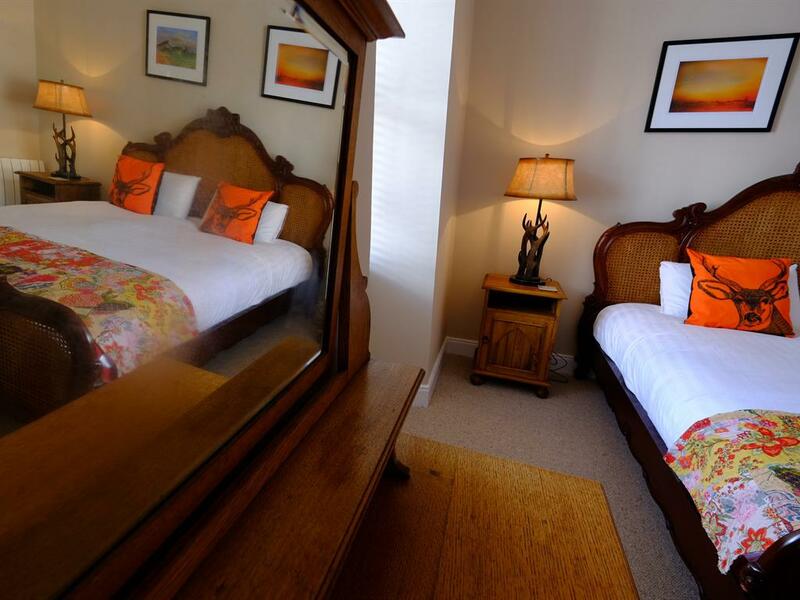 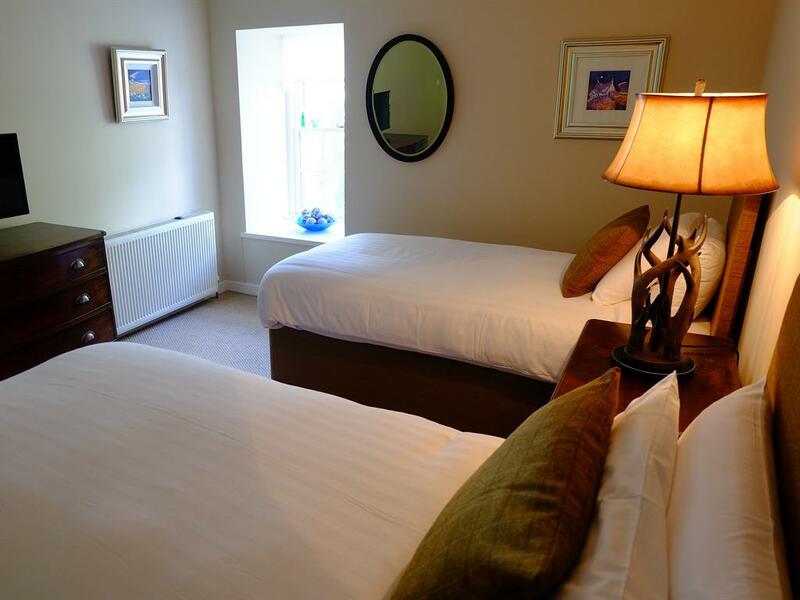 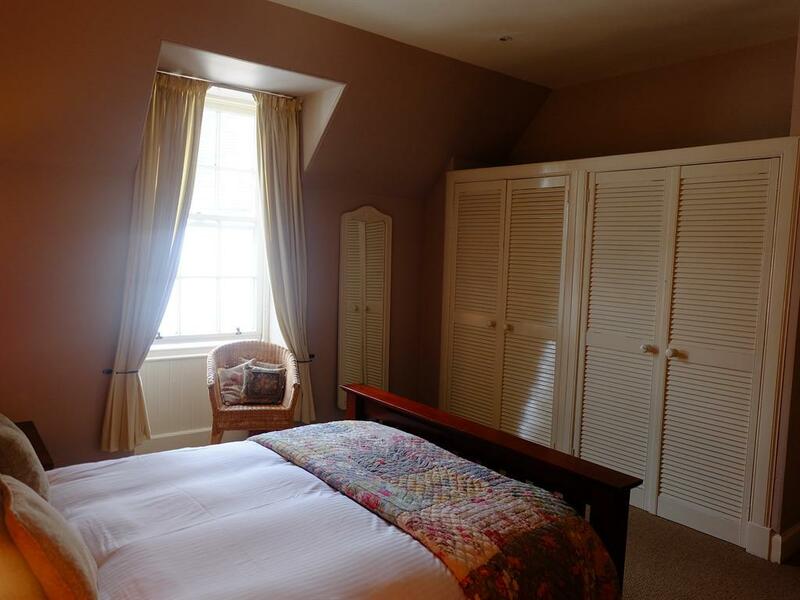 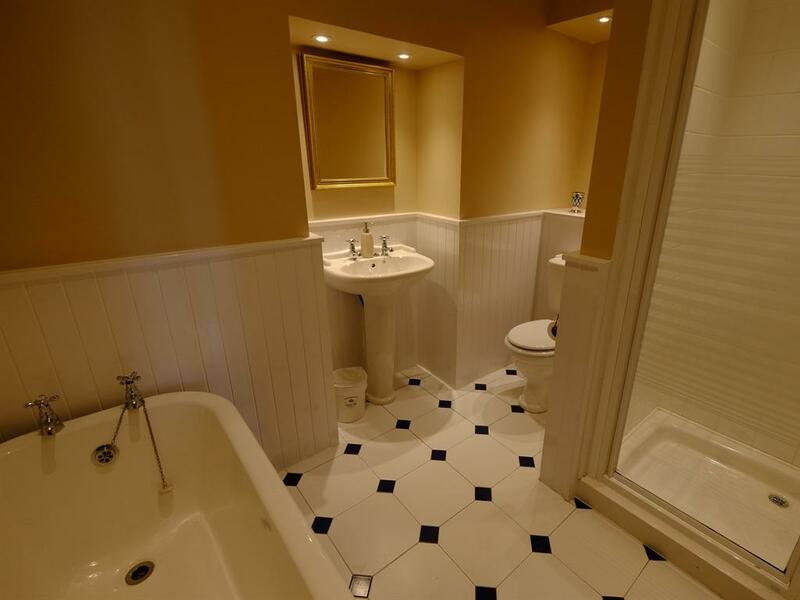 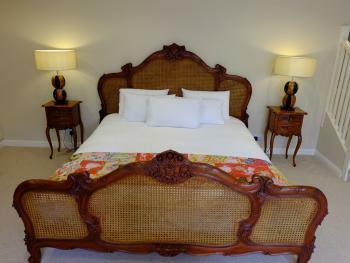 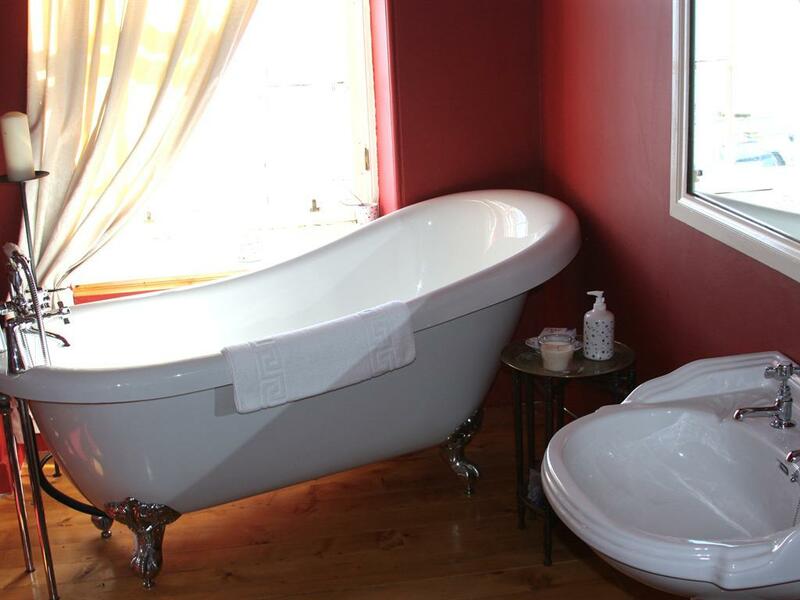 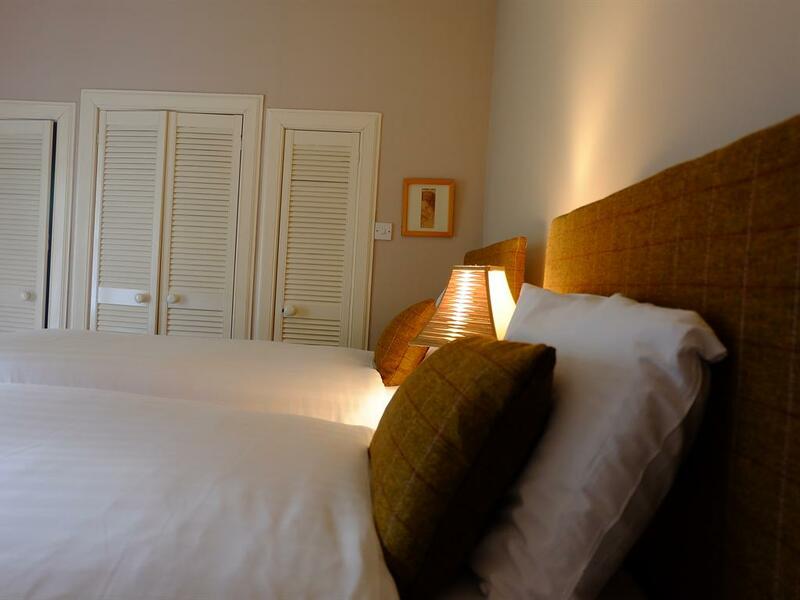 Beautifully presented twin room (two single beds) with stunning en-suite comprising a monsoon shower. 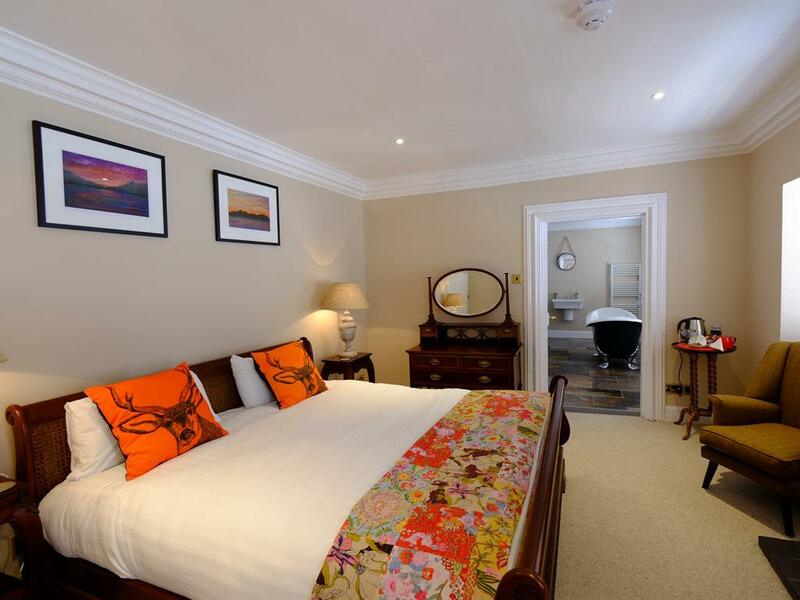 The room also includes luxury toiletries, a hospitality tray including Suki loose-leaf tea, a 32" flat screen LCD television, free WI-FI and many other features that will confirm our attention to detail will complement your experience. 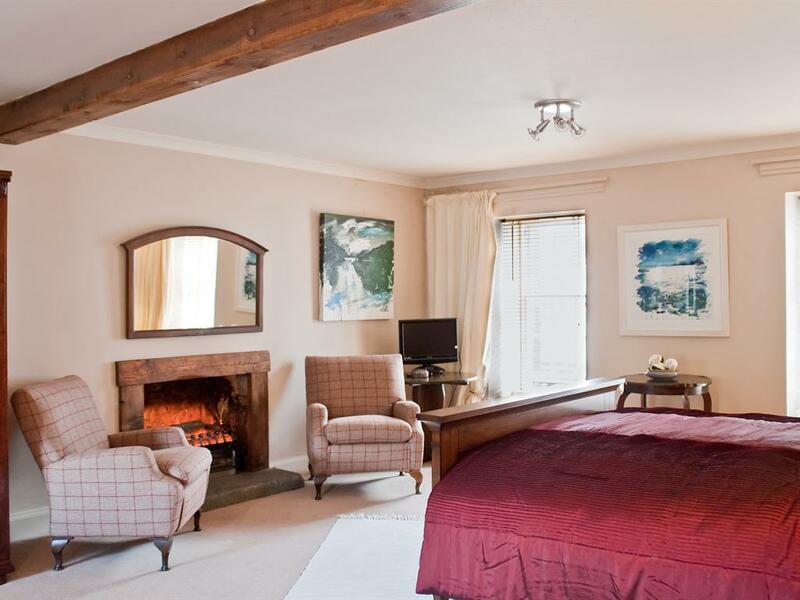 A full Scottish breakfast is also included. 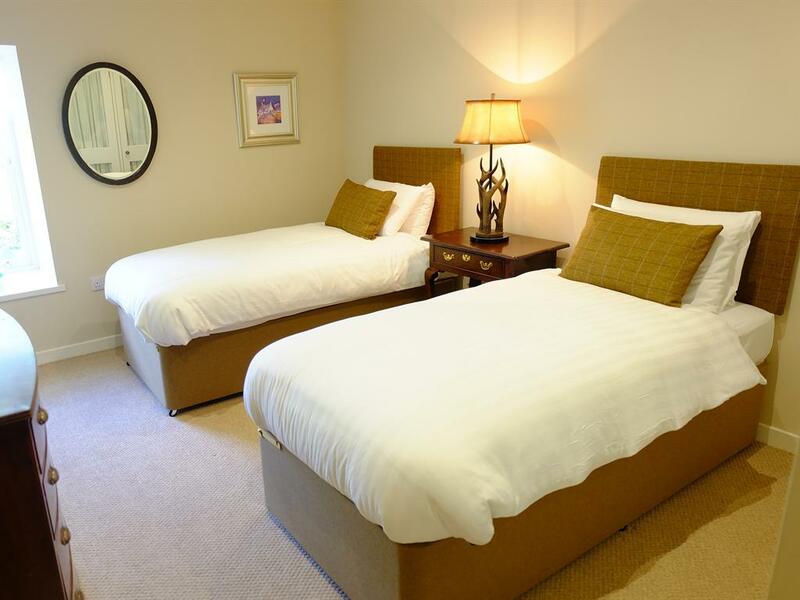 The Twin Room is situated on the first floor of 'Brambles East', which is situated directly across the Main Street from Brambles Cafe & Bistro. 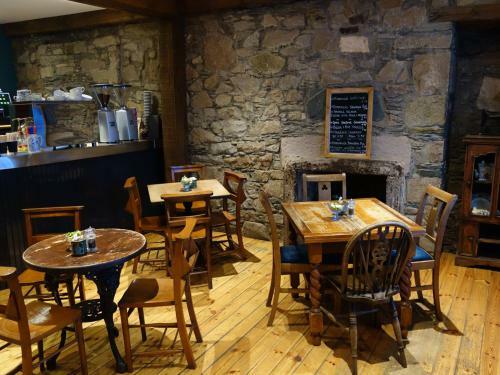 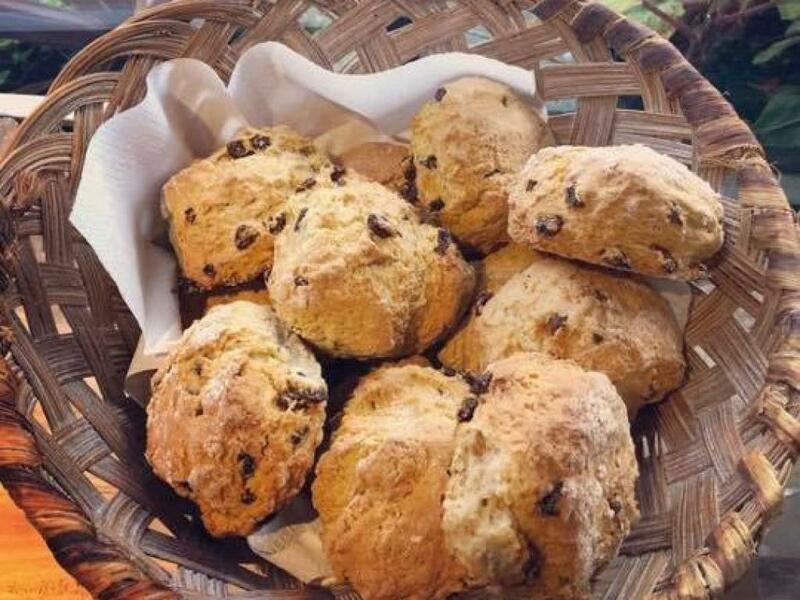 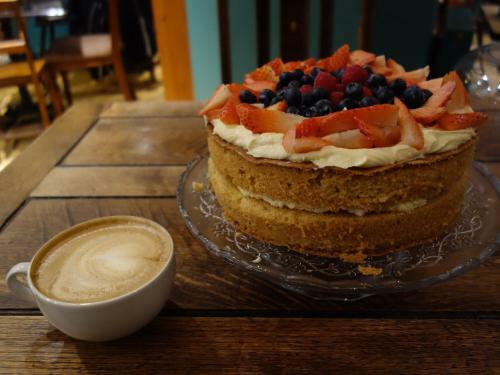 Brambles of Inveraray, Cafe & Bistro combines traditional charm with modern efficiency. 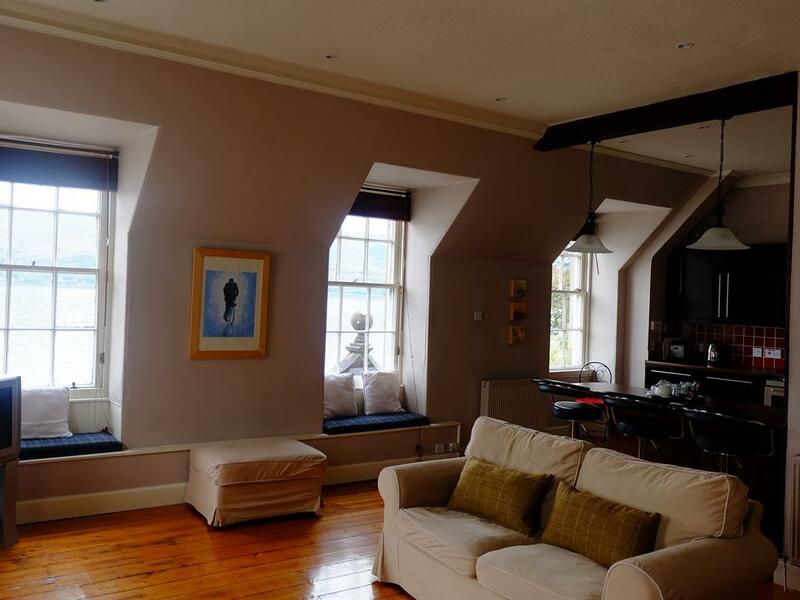 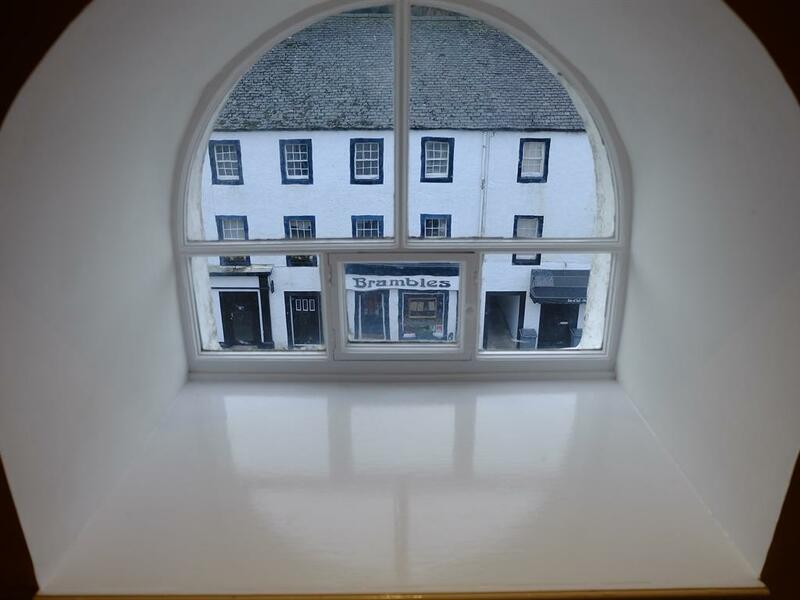 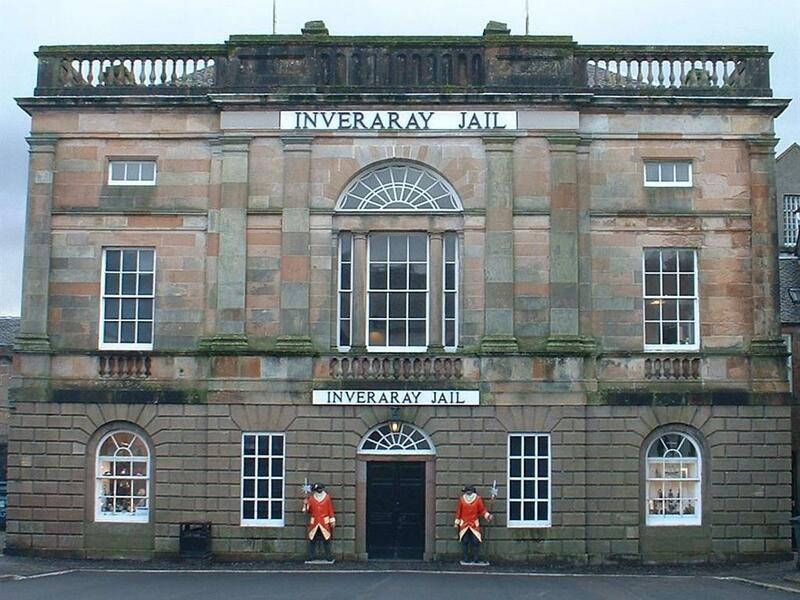 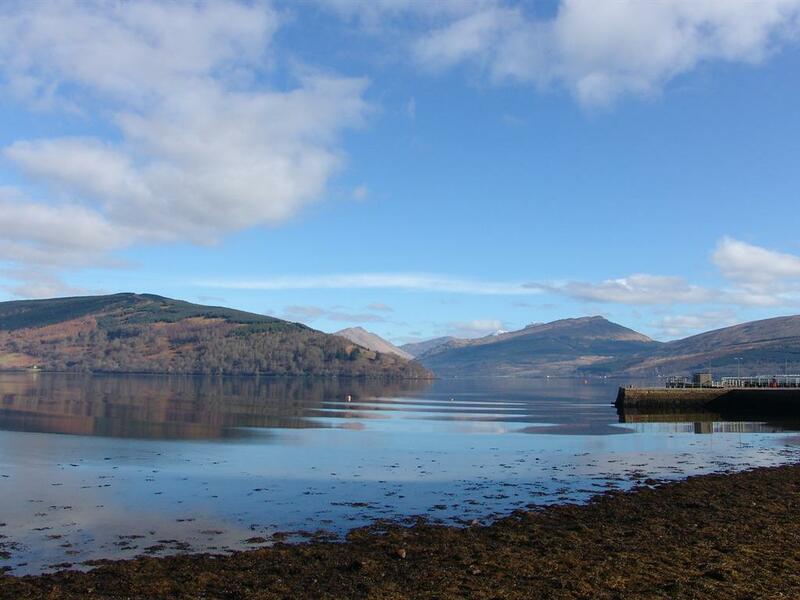 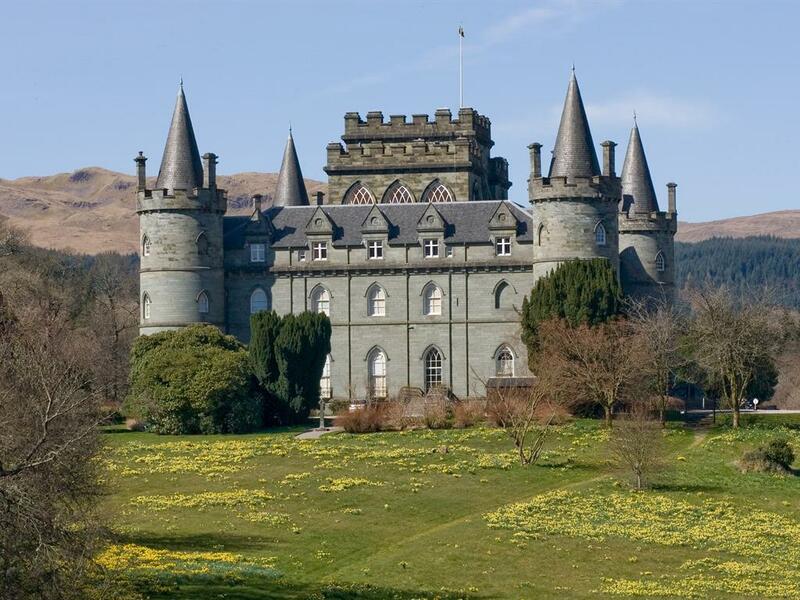 It is centrally located in the picturesque traditional Scottish town of Inveraray on the banks of the beautiful Loch Fyne. 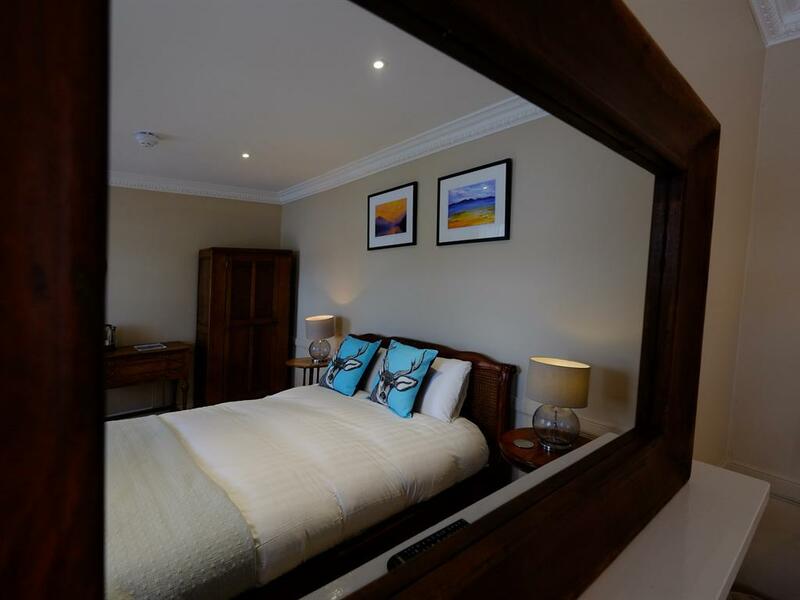 Our selection of luxurious contemporary bedrooms have been individually styled combining stunning traditional features with a modern finish. 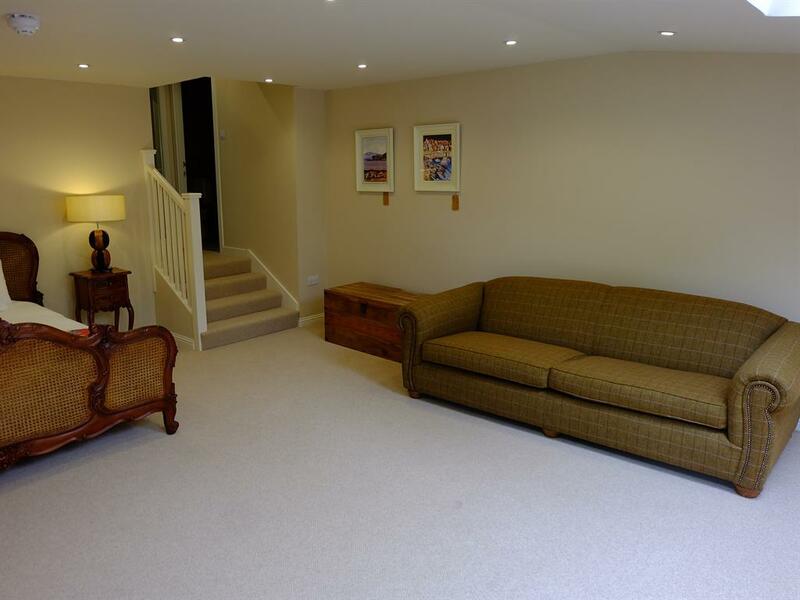 Beautiful & inviting interiors with all the comforts of modern living. 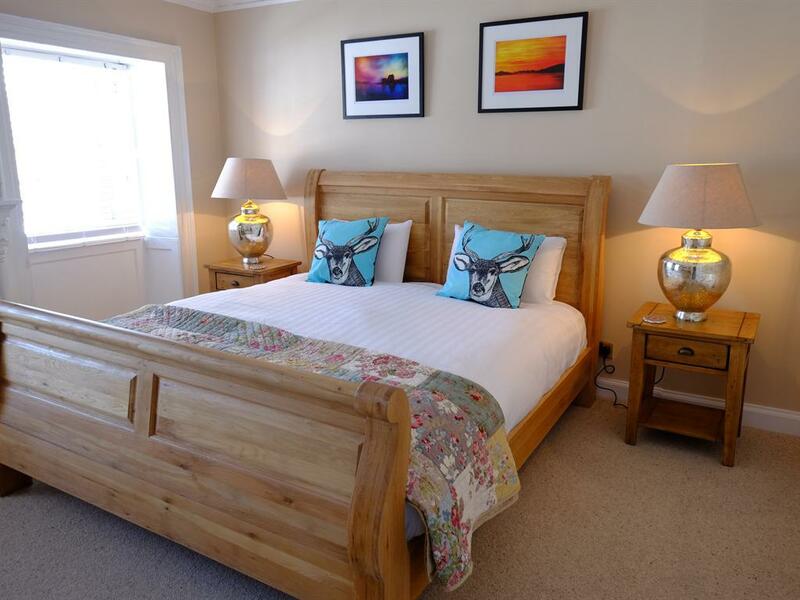 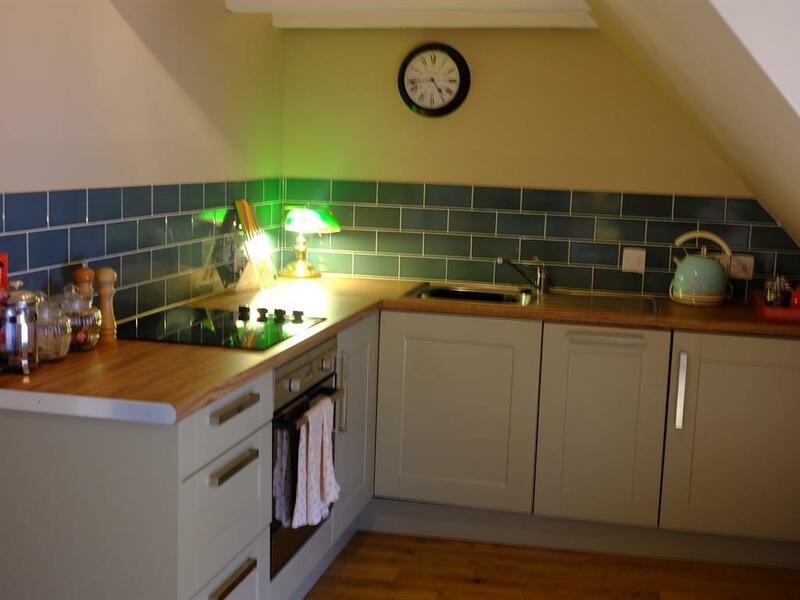 Pristine, contemporary accommodation with each room individually styled combining stunning traditional features with the comforts and convenience of modern living. 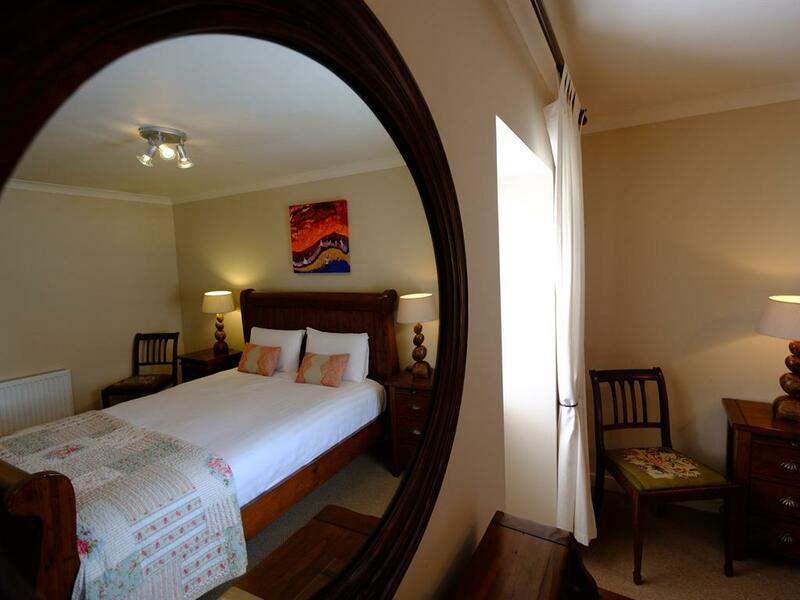 Each room offers luxury and comfort with wifi access, refined en-suite bathrooms, luxury toiletries, hospitality tray, TV and many other features that will confirm that our attention to detail will complement your experience. 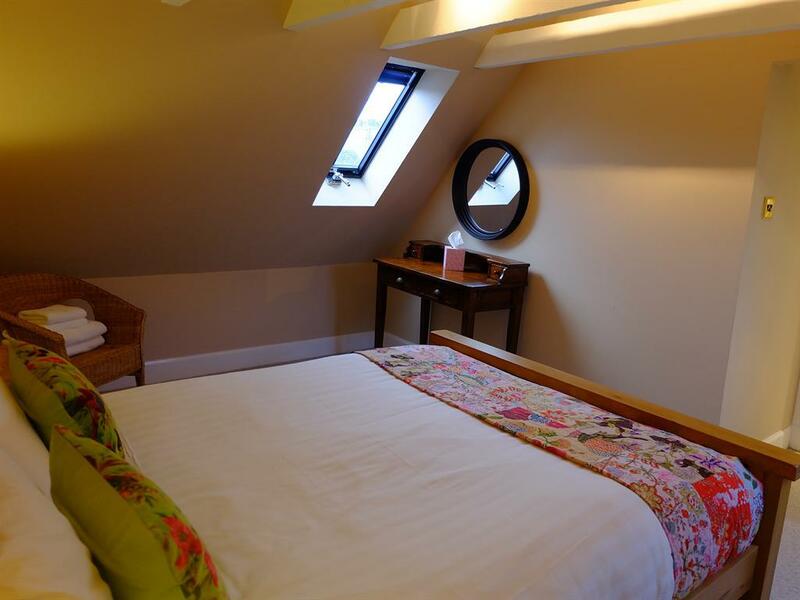 Each room has daily maid services. Every guest room has been designed and finished in the highest standard and offers comprehensive range of facilities. Modern and traditional cuisine made using the best of local produce, served in a charming Scottish bistro with an informal atmosphere. Informality is the order of the day at Brambles - we create a relaxed dining atmosphere to make all our patrons feel comfortable and at ease - combined with our friendly and efficient serving staff we know you will enjoy the dining experience as much as you will the food. 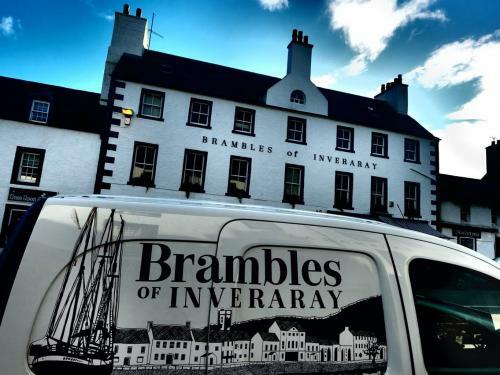 Discover Scotland, discover the Brambles of Inveraray, Cafe & Bistro, Inveraray. 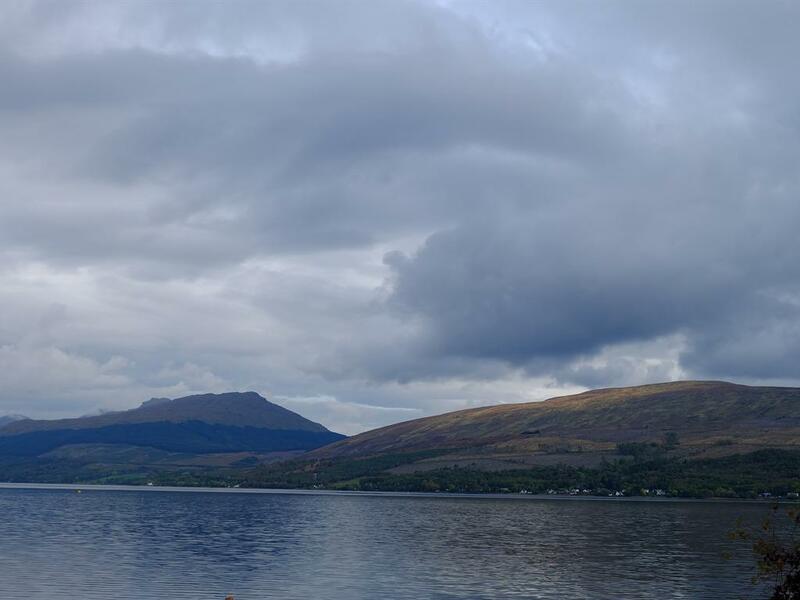 From the South, exit the M74 at junction 4 and follow signs for Glasgow City centre (M8) then head for the Erskine Bridge and join the A82 to Dumbarton and Loch Lomond. 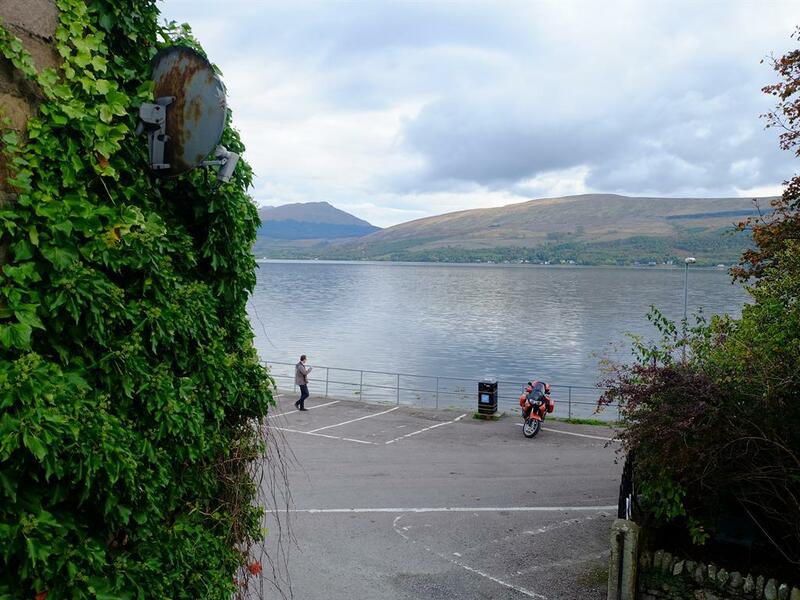 At Tarbet, near the head of picturesque Loch Lomond, bear left onto the A83 signposted for Inveraray.